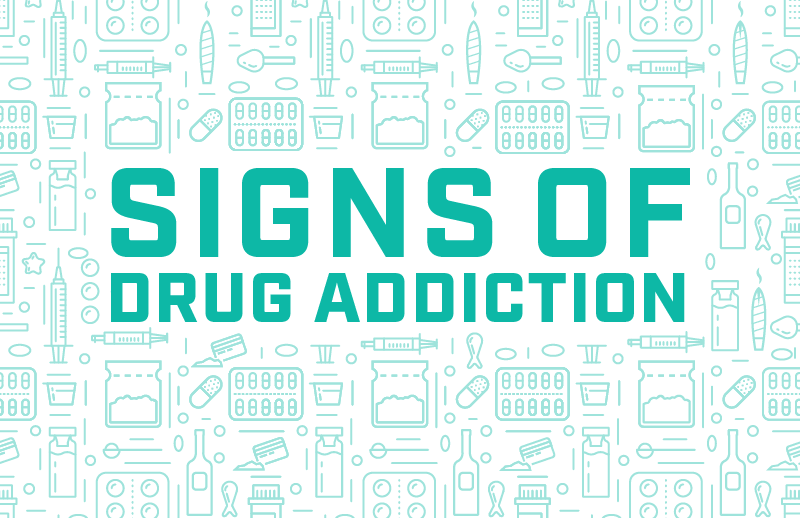 Spotting the signs of drug addiction can be tough unless you know what to look for. The descent into drug abuse can be gradual, meaning it isn’t always easy to catch the signs. While drug use may not pose much of a problem at first, it can eventually take over a person’s life. This makes noticing the signs and taking action important. Taking note of the signs of drug addiction in yourself can be nearly impossible. They can also be easy to downplay or ignore in a loved one. Learning the signs can be a huge positive step in the fight against drug addiction. The early cues of abuse can be some of the most difficult to spot. At this point, drug use is beginning to become a larger part of the person’s life. They may become less reliable and start to blow off commitments. Their priorities shift from their life to their drug of choice. Another early sign is excessive risky behavior. The person may care less about laws and their safety. They may drive a car under the influence of drugs or use an unsanitary needle. While these signs may not be dangerous in the short-term, over time they can develop into significant issues. Catching these signs early enough can make all the difference in a person’s life. If an individual delves into long-term addiction, the signs of drug addiction become more clear. They also create significant issues within a person’s daily life. For example, if early risk-taking is allowed to continue, the individual can also run into legal trouble. From driving under the influence to disorderly conduct, addiction can lead to serious problems with the law. Probably most apparent are the physical changes drug addiction causes. Weight loss and skin issues can render a person almost unrecognizable. Ultimately, drug addiction can be fatal. Effective treatment can make all the difference in turning an individual’s life around. Driftwood Recovery has the resources and expertise to guide you through the recovery process. Deciding to seek help is an act of courage, and we are prepared to help. Our staff of trained professionals is ready to help you find which of the addiction therapies you need for your drug addiction recovery. If you’ve noticed the signs of drug addiction in yourself or a loved one, Driftwood Recovery is here for you. When you begin to notice addictive behaviors within your loved one, the time to call is now. Reach out to Driftwood Recovery today at 866-426-4694 to learn more about behavioral therapy and other therapy options.